It is the season for seeking atonement for broken promises. Which turns out to be convenient timing for Israel’s chief rabbinate, which stands accused of breaking a promise to America’s leading body of Orthodox rabbis — as well as violating long-accepted Jewish law concerning the welcoming of converts. At issue is the recent decision by the rabbinate, whose decisions determine whether someone can marry or be buried in Israel as a Jew, to require further investigation into the conversions of four people who converted in America under Orthodox auspices. This despite the fact that these converts had had their conversions investigated and stamped kosher by two leading American Orthodox rabbis: Rabbi Gedalia Dov Schwartz of Chicago, who heads the court of the Rabbinical Council of America, and Rabbi Mordechai Willig, who teaches Talmud at Yeshiva University and is considered another one of the Rabbinical Council’s authorities in Jewish law. 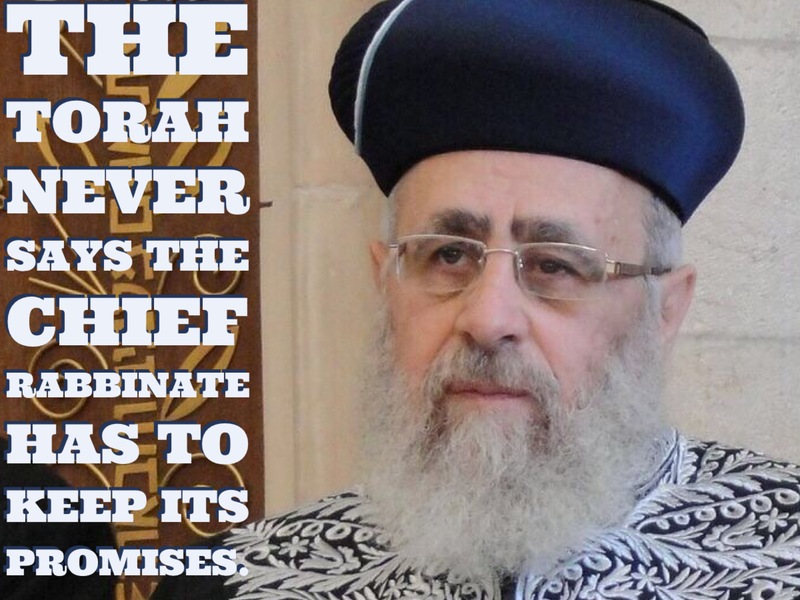 In Teaneck, the Israeli government rabbinate’s refusal to trust America’s leading Orthodox rabbinic group was greeted harshly by Rabbi Shalom Baum, who leads Congregation Keter Torah — and more to the point, is serving a two-year stint as the Rabbinical Council’s president. Rabbi Baum put his name to a press release that “strongly” objected to the chief rabbinate’s action. “We have already begun an investigation into this latest disgrace and we demand a thorough report of how this could happen,” Rabbi Baum said, in a press release issued by the RCA.